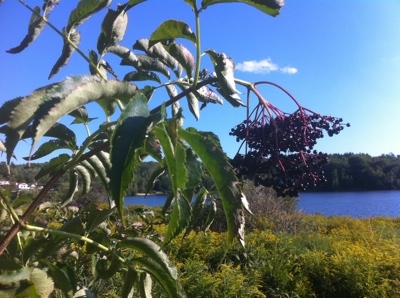 With the summer coming to a close here in New England, one of my favorite wild edibles that I seek out in the late Summer and early Fall is the Common Elderberry (Sambucus nigra). In this article I’ll be showing you how to properly identify the Common Elderberry, where to find it, and how to process it into a delicious jelly. 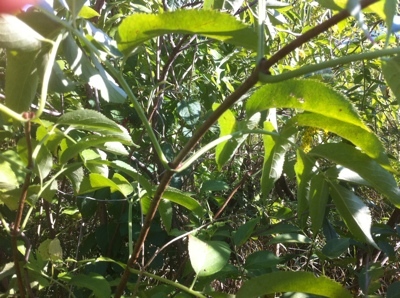 Compound leaves: Common Elderberry leaves grow opposite each other and are divided into 5-11 coarsely toothed, elliptical, pointed leaflets (each around 3-4 inches long). Corky bumpy branches: Besides the bumpy “pimples” on the branches, if you crack open the branches or the twigs you’ll find a spongy, white pith. 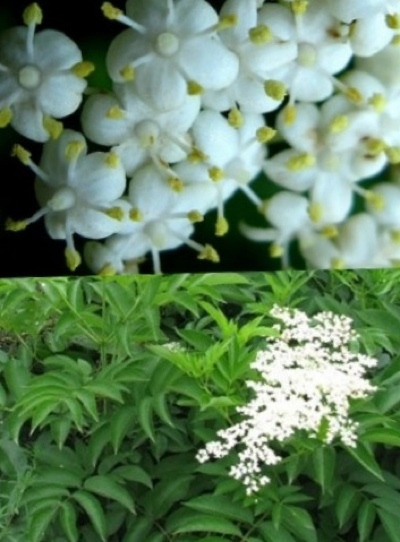 Late spring/Early summer — white, lacy flower clusters: The flower clusters spread over 6 inches across and are flat-topped to slightly rounded. Common Elderberry can be found growing in large thicks stands. They seem to prefer moist places with a good amount of sunlight. You’ll want to look for it along roadsides and riverbanks, in marshes and in moist woods, and thickets in the eastern part of North America. This recipe will make 3 pints (6 cups) of Elderberry jelly. Step 1: Remove the elderberries from the clusters with a fork doing your best to make sure not to include any of stems or other plant materials. Wash these in cold water. Step 2: With the heat set to medium/medium-high cook the elderberries in a pot crushing the berries with a potato masher until the natural juices are released. I’ll sometimes add a little water to this recipe (1 cup of water for every 6 cups of berries). Bring to a boil allowing it to cook for around 15 minutes. 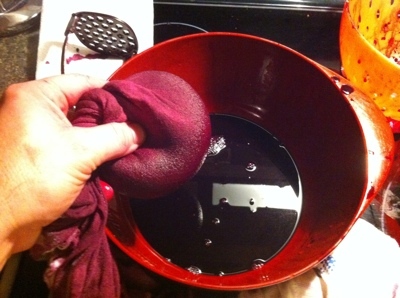 Step 3: Pour cooked berries and juice In a colander lined with a cloth (t-shirt, multiple cheese cloths etc) allowing the juice to collect into a bowl. Since this will be very hot, let it sit for an hour to drain through and cool off. 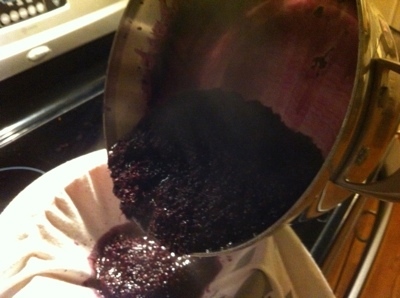 Step 4: Once it has cooled off, begin squeezing any left-over juices through the cloth filter. 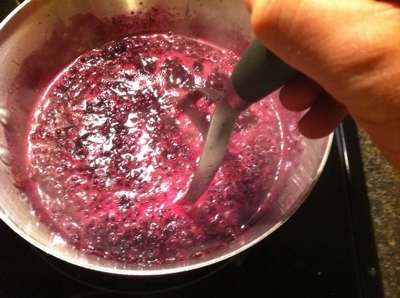 Step 5: Pour elderberry juice in a cooking pot, add sugar and pectin (for the proper amount of pectin, see instructions indicated on your packet) and bring to a rolling boil over high heat, stirring constantly. Let it boil only about 1 minute. Step 6: At this point it’s a good idea to test a small amount of the liquid to ensure that it’s setting properly (thickening into jelly). To do this, take a spoonful of the liquid and pour it into a bowl or a small plate and place it in the freezer. 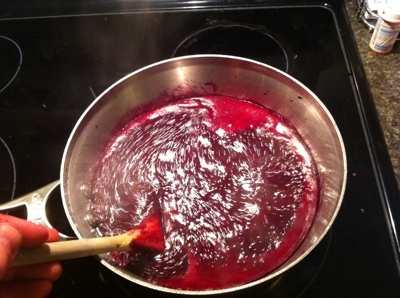 After a few minutes, if there is enough pectin, the liquid will have jelled up into the consistency you desire. If not, add some more and bring to a quick boil and test again. If all is well, pour the liquid into canning jars and process those canning jars in a hot-water bath or as desired in order to make an airtight seal. 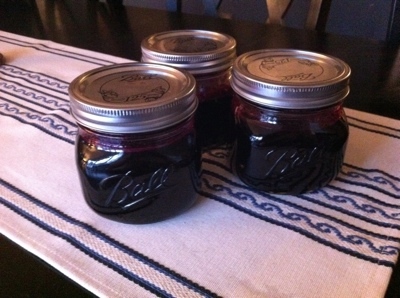 Properly sealed jars of elderberry jelly will store for at least a year without issue. You’ll want to finish open jars within 2 weeks since there are no preservatives. I haven’t been able to find to many places that talk about using food straight from the great outdoors. I really enjoyed this article! Glad you liked it. There is definitely much more to follow. 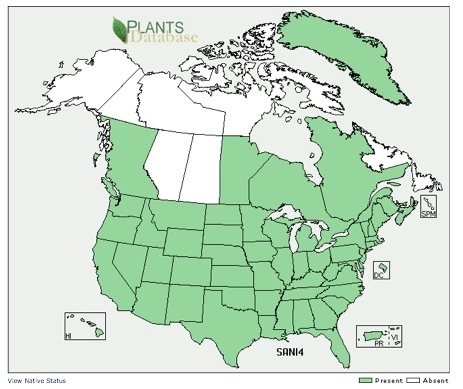 I’ll also be covering how to identify and process wild medicinal plants in the near future. Well, I will be waiting for more of them then! I plan on trying your cheese from powder milk recipe tomorrow. If you freeze the berries on the stem they will pop off cleanly for juicing. Thanks for the great tip! I’ll definitely try that next year. I was told that elderberries can also be used to make candles! Is that true? You can use the elderberry plant to make candles but it’s not from the berries but rather the dried stalks. Since the stalks are full of a soft pith, this can be soaked in tallow (rendered animal fat) that when lit will burn like a candle. Mullein, which has a similar pithy core can also be used in like manner. 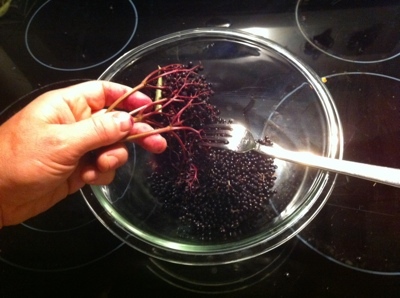 Can you use the elderberry to make jelly if all the berries are not ripe? You’ll want to wait until they’re ripe. 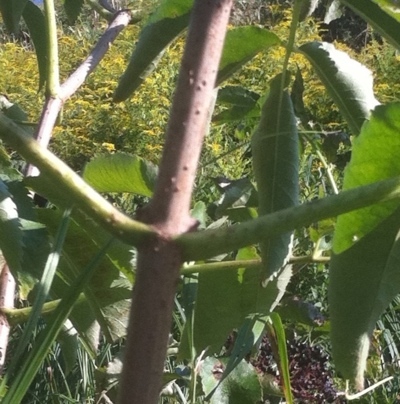 some one told me that green elderberry’s are poisonus …is this true? I picked my first elderberries this August and made them into jellie. There weren’t many as my elderberry bush is quite young yet. The birds sure do love them . Some of the berries were not all quite ripe as i was picking…they were not all green but not all deep purple color either, so now i am wondering if my jellie is safe to eat…it is pretty as a picture and a deep purple color almost like chokecherry. Please reply. 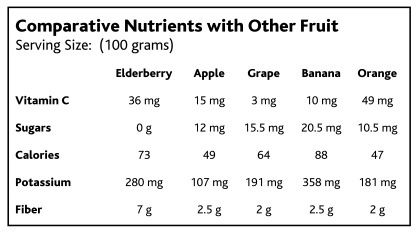 Yes the green berries are toxic so you’ll want to make sure they are all ripe or at least pick out the green ones. if you can buy a juicer, which is a three pot in one, you can throw the Elderberries stem and all into it. It steams the juice out of the berries, like all berries, and it will give you a clear juice, which is ready to be cooked into jelly, NO CHEESECLOTH!!!! Thanks for the tip Muschi. That will definitely come in handy, since I have a juicer. Can this be put in freezer containers and put in the freezer? Also, I am concerned about this red vs. purple color. Are the toxic ones definitely a real red color? In other words, is there an obvious difference between the two? Thank you.